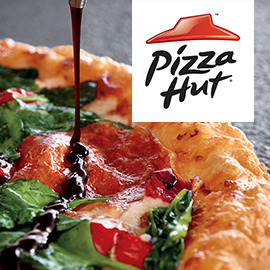 Pizza Hut is the no.1 pizza chain in most countries, operating in delivery and dine-in modes. Pizza Hut is well known for its innovation – being the first to introduce products such as Stuffed Crust Pizza and Cheesy Bites. It is also known for the quality of its pizza- because it uses the best quality of cheese that is also so yummy, and great tasting tomato sauce. Pizza Hut is facing numerous competitors, and pizza lovers now have a lot of options when they want a pizza. The brand wants to remain people’s favorites pizza. To do so, inventing new pizzas of very high quality, that are contemporary and out-of-the-box is their priority. Entries are accepted till June 12, 2016 23:59 UTC !